Ohio car accident law firm welcomes new associate attorney Anna C. Hines. 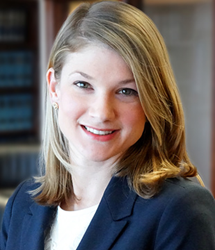 Auto accident law firm O’Connor, Acciani & Levy is pleased to welcome new associate attorney Anna C. Hines, who practices primarily in the area of personal injury litigation. O’Connor, Acciani & Levy is proud to have Hines on its team, fighting for justice on behalf of injured victims. Hines graduated from the University of Georgia with a Bachelor of Arts in 2007. She attended Mercer Law School, and received her Juris Doctorate in 2010. She is admitted to practice in Ohio, Kentucky and Georgia, and is a member of all three states’ Bar Associations. She is also a member of the Central Ohio Association for Justice, the Ohio Women’s Bar Association, and the Women Lawyers of Franklin County. Hines' personal injury practice areas include auto accidents, defective products, slip-and-fall injuries, and dangerous pharmaceuticals. To learn more about the attorneys at O’Connor, Acciani & Levy, visit http://www.oal-law.com. O’Connor, Acciani, & Levy is an accident injury law firm dedicated to helping the victims of negligent behavior from another person or entity. The personal injury law firm based out of Cincinnati, Ohio, has offices throughout southwestern Ohio and northern Kentucky, and is committed to helping victims of all types of personal injury claims, including dangerous drug litigation, product liability claims, medical malpractice, premises liability and auto accident injuries. For more information or to schedule a free, confidential case review, visit http://www.oal-law.com, or call (877) 288-3241 to set up a free consultation.